Tired of the same old Christmas pageant? 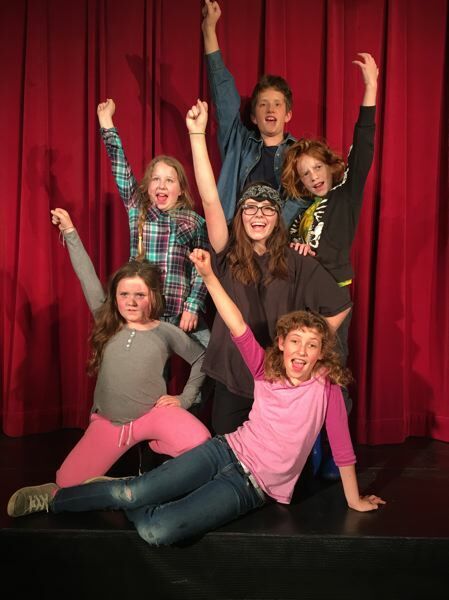 Well, so are the Herdmans, a family of unruly kids who reinvent the classic Nativity story in "The Best Christmas Pageant Ever" by Nutz-n-Boltz Theater Company. The show starts Friday, Nov. 30, at Boring-Damascus Grange 260, 27861 S.E. Grange St., Boring, and runs every Friday, Saturday and Sunday through Dec. 16. Tickets are $15 for adults, $12 for seniors and $11 for children and can be reserved at nnbtheater.com. Director Heather King said the play is set apart from other Christmas productions by focusing on the personalities and moral dilemmas of those behind the Mary and Joseph robes. "Expect your heart to melt," she said. "This show will charm you whether you've experienced five holiday seasons or 100!" "The Best Christmas Pageant Ever," by Barbara Robinson, based on her 1971 book of the same name, tells the story of six delinquent children who attend church for the first time to get free snacks. To their surprise, the kids are cast in the church's Christmas pageant and tell the story of Jesus' birth in their own unconventional style. Though the plot centers on Christian traditions in a religious setting, King noted people of different faiths and backgrounds should feel welcome to attend. "Although the show takes place within a church hosting a Christmas pageant," she said, "the story focuses on acceptance of others and that all people are fighting for a sense of purpose and belonging." The relationships between the student actors playing the Herdmans has been central to their roles. King said they took one day of rehearsal for all the kids to play games together, build a family history and sharpen their bickering skills. "We spent time learning how to grapple and shove one another so that they could feel free to really brother-and-sister one another while on the stage," she said. "They're so nice about it too!" 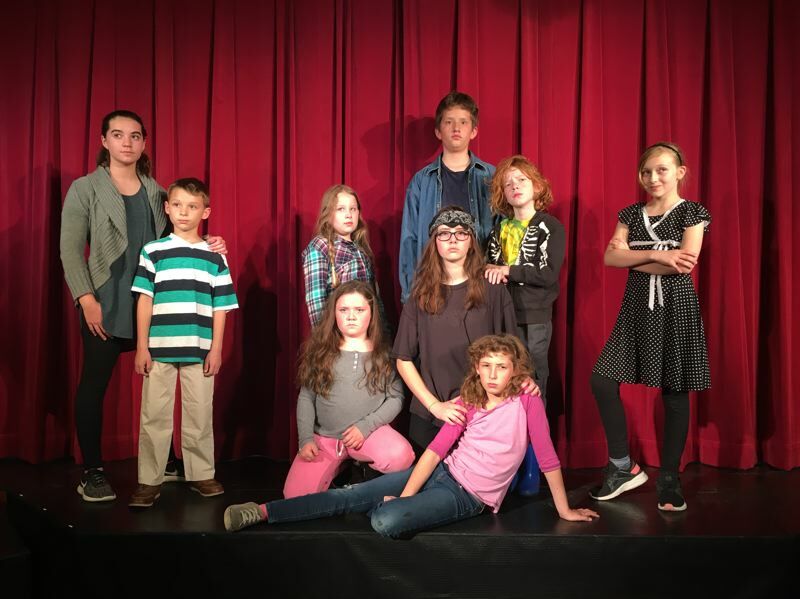 Though a community theater production, audiences will likely be surprised by the professional level of performances and set-work. Such dedication is typical of a Nutz-N-Boltz production, King noted, thanks in large part to theater owners Justin and Kelly Lazenby. "[They] are a wonderful team who continue to bring beautiful art to their community," said King. "And they do just that, every time." The Lazenbys even took on the roles of Grace and Bob Bradley, two church volunteers roped into organizing the pageant. King said the two were "an easy choice" for the parts as "the epitome of dedicated, loving parents." Following its December show, Nutz-n-Boltz will take a break from traditional plays to perform "In Front of the Philco: Radio Theater," a fundraiser set for February 2019. They will return to form in March for "Villain of Virtue," written by and starring the Lazenbys. For more information, visit nnbtheater.com. When: 7:30 p.m. Friday, Nov. 30, Saturday, Dec. 1, Friday, Dec. 7, Saturday, Dec. 8, Friday, Dec. 14, Saturday, Dec. 15; 2 p.m. Sunday, Dec. 2; 3 p.m. Sunday, Dec. 9, and Sunday, Dec. 16. Where: Boring-Damascus Grange 260, 27861 S.E. Grange St., Boring. Cost: $15 for adults, $12 for seniors and $11 for children.